Actually, I’ve been to Bali several times, but not in a while. I should say, I guess, that I’ve been back to Bali too. It’s funny going back to a place after a break of six or seven years. You really notice the differences, and of course you ask yourself the question: is it better or worse than it was? Firstly, let me say that some places are as good or better than they were. In particular, Ubud is still a wonderful town surrounded by rice paddies and mountains. The development that’s happened there, extensive as it is, is well thought through and, for the most part, in keeping with the feeling of the place. 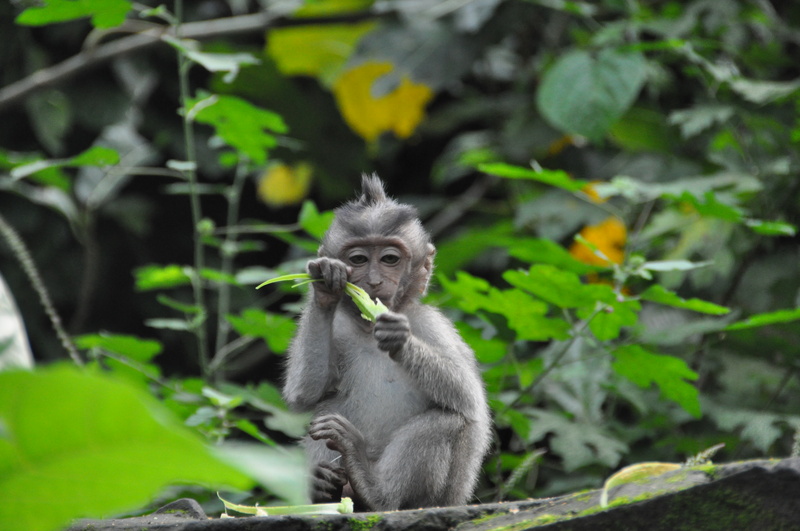 Even the inhabitants of the Monkey Forest are better behaved than they used to be. We stayed at a place called Waka di Ume, and this in particular was just brilliant. Pretty much carved into the paddy fields, it has wonderful people running it who are very proud to be Balinese. Taught us a bit of the language (well, taught us to say ‘thank you’ in Balinese, but it’s a start). They were also keen to share their traditional cooking techniques, as we learnt during our cooking lesson. Awesome. Where things were not as rosy was in Seminyak. While, again, much of the development is well planned and, in some places, downright exciting, the beaches are absolutely appalling. And, at the end of the day, it’s the surf and beaches that make Kuta/Legian/Seminyak special. Let me explain, I’m not talking a bit of washed up rubbish here. 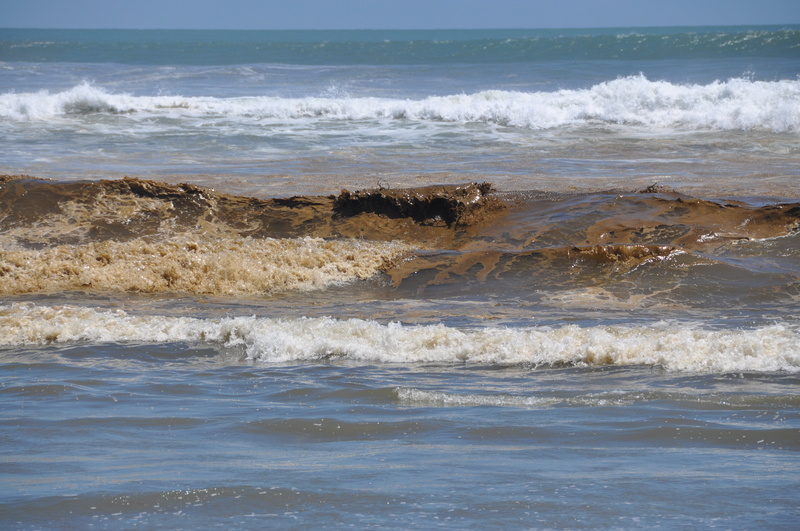 The sewerage outfall that washes back onto the beach is so bad that, I kid you not, the surf in many places is browner than chocolate. The so-called creeks, which cross the beach every couple of hundred metres, absolutely stink. And the beach itself is covered in washed up rubbish of all shapes and sizes, bottle tops to car tires, distributed across a surface of black or brown stained sand. This, my friends, has to be fixed, and fast. It can’t be too hard to trace the source of the pollution back upstream, assuming this is where the bulk of the problem is coming from, and address it. It’s a lot harder if what needs addressing is a widespread culture of littering and pouring waste into creeks – hopefully this isn’t the situation. 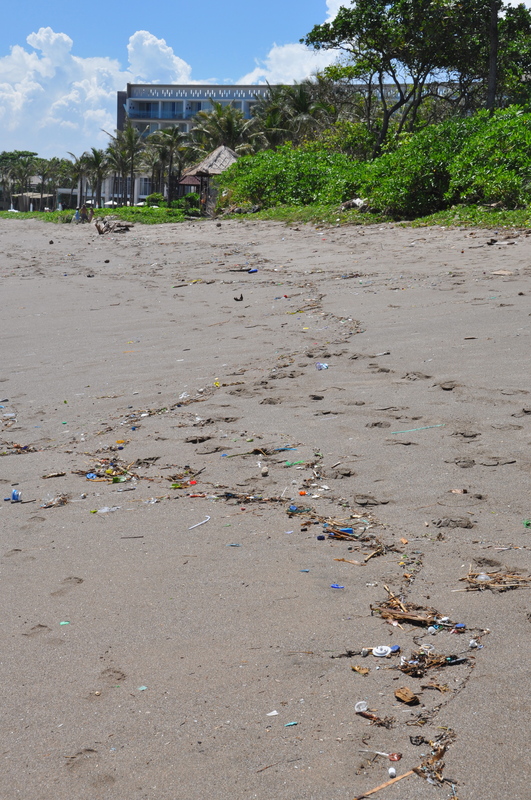 Either way, if this problem isn’t turned around quickly Bali’s famous surf beaches will find themselves the pariah of the tourism industry, and as tourism is the lifeblood of Bali, this would have devastating effects. What’s so disappointing is the pollution on the beaches detracts from the really exciting direction a lot of development is taking on the island. There is some fantastic dining available around Seminyak, as new restaurants like Sardine join the likes of La Lucciola as sensational places to eat. There are also some brilliant new concept venues, such as Potato Head, which is a bar/restaurant built in a 1950s-esque style arcing around a couch-covered lawn and pool facing the ocean. Wonderful idea, and it just simply works. Meanwhile, accommodation options continue to expand with the recent addition of a ‘W’. Building hasn’t slowed down, and there are very affordable mid range to top end hotels and resorts that exhibit great taste and style. Yes, in places you realize you are in the Australian equivalent of Majorca when it comes to ugly package tourists, but you can avoid that. Just avoid Kuta and you’ll miss the worst of it, pretty much. Meanwhile, get out to other areas of Bali, like Ubud, and the rich Bali experience is alive and well. The vistas are awesome, the people are still friendly, and of course the climate is sublime. I believe other areas like Candi Dasar are also still wonderful too. 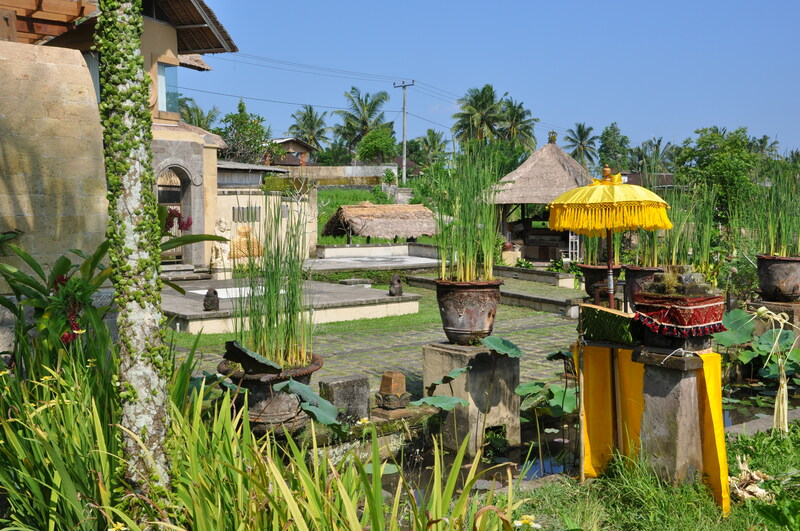 It is still full of culture, beauty and friendly Balinese. Make no mistake, Bali is still a wonderful destination, the old island just needs a little TLC.